Eugenia Kim's 'Sydney' hat was designed with sunny climates in mind - the Spring '19 collection is inspired by David Hockney's paintings of Southern California. 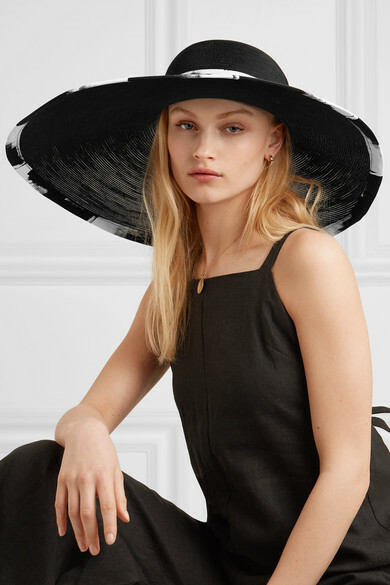 Made from lightweight woven faux raffia, this one has a wide brim to protect you from harsh rays - perfect for lounging by the pool on vacation. 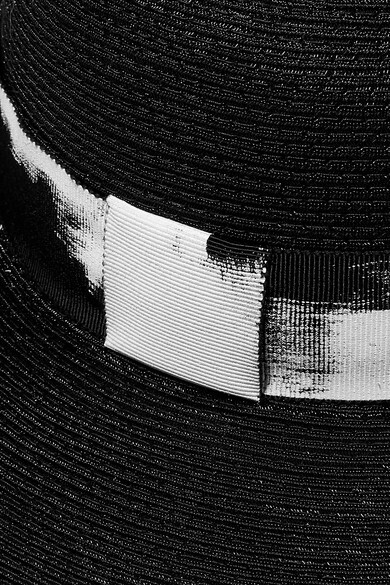 The grosgrain trim looks as though it's been painted with white brushstrokes. Shown here with: MATIN Jumpsuit, Kayu Tote, The Row Sandals, Loren Stewart Necklace, Jennifer Fisher Earrings.